3 Magical Supplements in Surely Slim MAX to Help You lose Weight Fast. Why pay $200 for all of these products separately? Buy SurelySlim Max today! Full one month supply of all 3 Superfruits! The 3 most powerful weight loss supplements in the world, are now available together… in one easy capsule of SURELY SLIM MAX! • All Natural — made right here in Canada, under strict Good Manufacturing Practice (GMP) guidelines. • Contains NO stimulants, so NO jitters or crash. People who are obese die younger and are more likely to die from heart disease, cancer, and other causes. Excess weight is the cause of about 90 percent of all cases of type 2 diabetes. People who are obese are also five to six times more likely to have high blood pressure. For obese people with diabetes, losing just 5 to 10 percent of their total body weight can lower the risks of obesity-related health problems and improve blood glucose, blood pressure, and cholesterol levels. Intensive lifestyle-change programs that focus on diet and exercise for weight loss can help. But such programs usually require trained counselors and frequent office visits. For that reason, these programs are not easy to build into visits to the family doctor. An effective supplement that could result in more weight loss than brief office-based counseling alone would be a boon to obese people who are trying to lose weight. Garcinia is primarily used in cooking as a spice, flavouring and preservation ingredient. The Garcinia fruit is commonly used as a souring agent for a variety of dishes in Asia and India, and because of this property it’s also used in Ayurvedic (Indian) medicine as a digestive aid. Garcinia fruit also has anti-bacterial properties and is used to cure and preserve fish in India and Southeast Asia. More recently, in Asia, this ingredient has been used as a food additive because it makes meals feel more filling, which prevents over-eating and supports weight loss. There’s a phytochemical found in Garcinia, called hydroxycitric acid (HCA), and it has a dual effect on supporting weight loss. The way the hydroxycitric acid (HcA) found in Garcinia cambogia Extract works to help people lose weight is by chemically blocking an enzyme called citrate lyase. 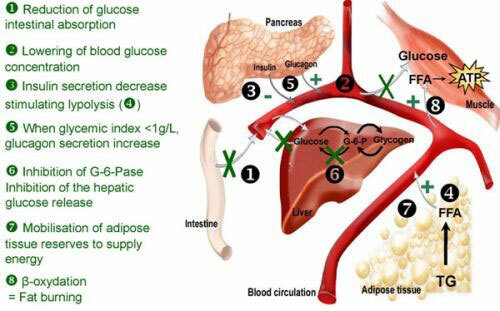 once this enzyme is blocked, it can no longer be utilized to convert carbohydrates and sugar into stored fat. Blocking fat production by using this method also results in a lower level of triglycerides and bad cholesterol (LdL). Moreover, HCA can support healthy serotonin levels and help reduce appetite. HCA from Garcinia cambogia has the ability to support a reduction in appetite by way of supporting healthy serotonin levels in the brain. Serotonin is a neurotransmitter that affects mood and sleep patterns. 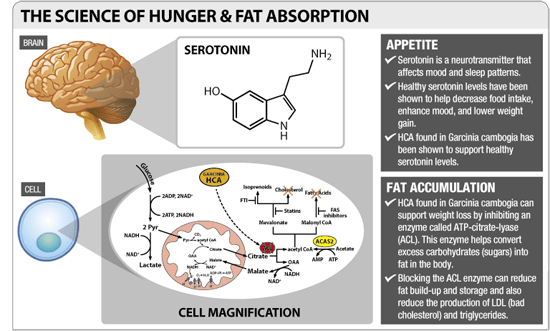 Healthy serotonin levels have been shown to help decrease food intake, enhance mood, and help reduce weight gain. HCA from Garcinia cambogia can support weight loss by helping reduce the activity of an enzyme called ATP-citrate-lyase (ACL). This enzyme helps convert excess carbohydrates (sugars) into fat in the body. When HCA reduces the activity of ATP-citrate-lyase, fat build-up and storage can be reduced in the body. One of the research studies that showed promising results included 60 people that suffered from obesity for a total of 8 weeks. the study was randomized and placebo-controlled to ensure the most accurate results. By the end of the study, the participants that were taking the HcA derived from the Garcinia cambogia fruit had lost an average of 14 pounds. The other group that took the placebos had lost an average of 6 pounds, which is probably due to the fact that both of these groups were on a restrictive 1,200 calorie per day diet. However, the group that took the HcA reported that they were not as hungry as the group that took the placebos. In addition to losing a rather significant amount of weight, the study also showed that the levels of triglycerides, serum leptin, and bad LDL cholesterol were significantly reduced while the levels of serotonin and good HDL cholesterol were increased. Pure green coffee bean extract is a naturally occurring substance that is extracted from raw, unroasted coffee beans. It is a highly potent source of chlorogenic acid, which is the active substance that helps with weight loss. 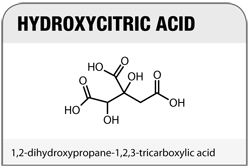 How does chlorogenic acid help me lose weight? The key ingredient in the green coffee bean is a very important natural active compound called chlorogenic acid. Chlorogenic acid works by inhibiting the release of glucose in the body, while at the same time boosting the metabolism or the “burning” of fat in the liver. These two mechanisms work together to inhibit the absorption of fat and eliminate weight gain. Naturally extracted raspberry ketones exist at about 1-4mg per kilogram of red raspberries. It would not be possible to eat enough raspberries to get a physiologically active dose. Ketones cause weight loss by increasing secretion of adinopectin. Adinopectin is a protein that stimulates rapid breakdown and prevents the deposition of more fat in the body. Higher levels of adinopectin are associated with less fat storage in the body. The result – simply weight loss! Ketones are shown to promote the breakdown of fat inside the fat cells to increase weight loss. If you have a liver disorder, consult a healthcare practitioner prior to use. Stop use if you develop symptoms of liver trouble such as yellowing of the skin/eyes (jundice), stomach pain, dark urine, sweating, nausea, unusual tiredness and/or loss of appetite and consult a health care practitioner). When it comes to weight, it is a worldwide problem. Nearly 27 percent of people report that they are obese (based on self-reported weight and height, and defined as a body mass index (BMI) greater than 30), according to 2009 data from the Centers for Disease Control and Prevention (CDC). Although that number may not seem huge, consider this: Obesity is a risk factor for a number of diseases, including metabolic and cardiovascular diseases, such as Type 2 diabetes, dyslipidemia, atherosclerosis, hypertension and stroke; and for cancers of the colon, breast, kidney and digestive tract. It's also a risk factor for nonlife threatening diseases, including arthritis, sleep apnea, gallstones and gout; and for affective disorders, including low self esteem. With such a laundry list, experts say it is in the public's interest for Americans to lose that excess weight. But the only proven way to do so is to move more, eat less and eat better. In a society where food often is plentiful and where many are desk jockeys, those who are obese may find these actions difficult to take. In addition, health care costs are approximately 42% higher for obese patients when compared to normal-weight patients. The World Health Organization predicts there will be 2.3 billion overweight adults in the world by 2015, and more than 700 million of them will be obese.